The committee and production team have decided to withdraw this production from the 2019 season. Due to lack of auditions booked we think it be best to withdraw the production now before auditions commence. 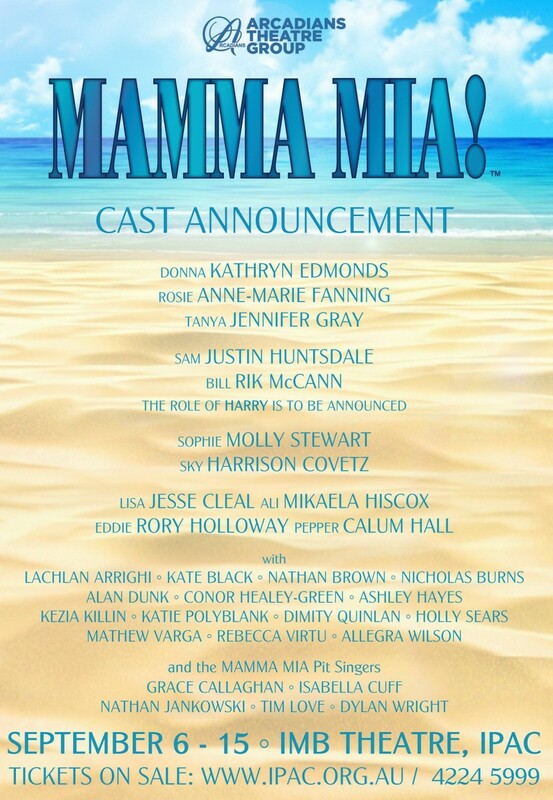 The production team need a cast of 40 to do this musical justice and unfortunately we are far below that number. However it’s not all bad news, THE KING & I production team will still be forging ahead to create a concert in the time slot left vacant and we are looking forward to supporting this and seeing what they create. With the exciting inclusion of the massive musical hit MAMMA MIA! we have had to make some changes regarding the rest of the 2019 season. Our production of BLOOD BROTHERS directed by Sue Causer will be moved to the November time slot (8 – 23 November) which means we have made the decision to remove the November production of DIRTY ROTTEN SCOUNDRELS from this season. Both DIRTY ROTTEN SCOUNDRELS and THE KING & I will be considered for the 2020 season which the new committee will commence working on after the AGM. Stay tuned as we will be announcing the production team for this production soon and further details on auditions to follow. To be the first to know, keep an eye out on our Facebook and Instagram page. We love this show … it’s perfect … no change needed. It opens in just 2 weeks so book your ticket now! Why not give the gift of theatre? Arcadians Theatre Group Gift Certificates come in multiples of $30 (the cost of an adult ticket to one of our main company shows for 2019) and can be redeemed towards the cost of any ticket purchase. If you don’t spend the full amount the balance can be saved for future purchases. 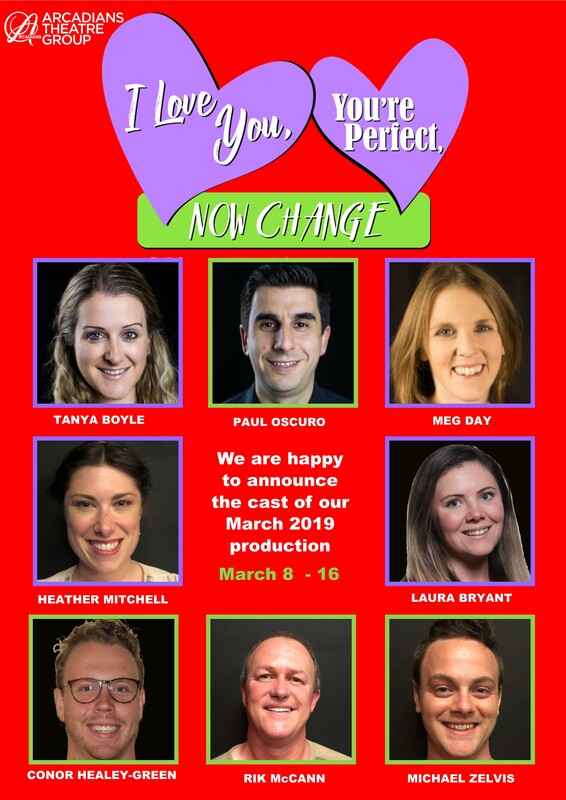 Congratulations to our fabulous cast for the March 2019 show, I Love You, You’re Perfect, Now Change. Did you catch our fabulous cast of Catch Me If You Can on ABC Illawarra 97.3 yesterday? If not there is a video of the very talented Miss Jesse Cleal singing on their Facebook page here. Think you can help us out with some front of house work? Check out this link to express your interest. A facelift for the theatre and the foyer, Jerry’s Girls, Working Bee, The 39 Steps, open auditions for ACT.